I would like to thank the lovely Simply Davelyn for nominating me. 😀 Her blog is super cute, check it out if you get a chance! 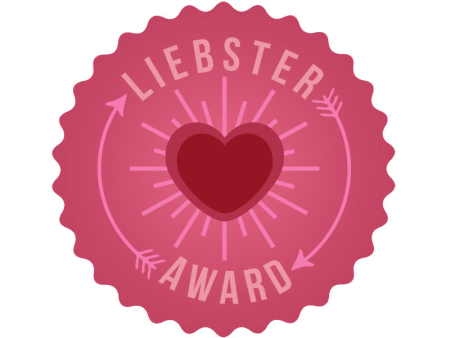 The Liebster Award is sort of like a chain letter, but it allows us bloggers to get to know a little bit more about each other and ask other fellow bloggers some questions! Hope you enjoy! 1. Do your family and friends know that you are blogging? It was actually my mother idea to start blogging. 🙂 It it known to all of my social media friends on facebook, instagram and twitter that I am blogging, so pretty much everyone I have ever talked too know I am blogging! 2. What is one of your biggest goals? I would loveee to work for myself, and I hope to one day start my own clothing boutique! Thailand! The culture seems beautiful. And Thai food is my favorite! I really would love to go canoeing through all of the caves and around the islands. 4. What is one of your favorite songs and why? One of my favorite songs is called “Sunshine” by Matisyahu. This song just makes me so happy! And It makes me feel like I’m in the tropics or something! hahah. I also loveee reggae, and this song has a reggae feel to it. 5. What is one of the greatest things that has ever happened to you? 6. Have you ever lied (for Truth) in Truth or Dare? I can not even remember the last time I played Truth or Dare. But I am sure I have lied once a while ago to avoid embarrassment. 7. Do you save old greeting cards and letters or throw them away? I usually save them, and then once I go through and clean up my room I end up tossing them out. I do feel guilty when I throw them out, but I just feel like it adds clutter and makes me feel messy. 8. What is one of your biggest fears? I have a very crazy imagination and always think I hear things in my house. So someone breaking in while I was home would probably be one of my greatest fears. 9. Do you have a catchphrase? 10. Do you hold any convictions that you would be willing to die for? 11. What is your favorite thing about blogging so far? What kind of blogs are your favorite? If you could live in any country, which would it be? What is the greatest thing that has ever happened to you? What is one of your biggest goals in life? If you could be anyone, who would it be? Favorite thing about being a blogger? Thank you again Simply Davelyn for nominating me, and I hope you guys have fun! It’s more of a “tag you’re it!” A fellow blogger tagged me to answer the questions and I did! Feel free to answer the questions and post about it! Btw, my Mother went to Thailand and loved it! Make sure to ride elephants and buy some Frangipani jewelry! Oh gosh! I really dislike when dogs bark at nothing! Hahah it get me all scared for no reason too! And I use to be so afraid of sharks and the ocean until I started surfing, I guess doing an activity in the water makes you forget about your fear and now I’m not afraid anymore 🙂 I’ve read some horror stories about the way elephants are treated there, so idk if I would feel comfortable with riding them, but if there was a place where they were looked after well I would! Well hopefully I’ll go there some day!